​Third Annual Road to Recovery 5k. To see the registrants' placement and rankings, or for an alternative view (including the option for an individual certificate format, with a participant's race info), please click one of the two links below. Want to witness the transformation happening within our community? Or maybe you want to compete with previous years' top finishers? Check out our "Upcoming Events" tab and follow the instructions to register early for this year's race, occurring within the first week of March. ​Second Annual Road to Recovery 5k. To see the registrants' placement and rankings, please click the link below. On March 5, 2016, through the initiative, hard work and heart of the LeftFielders at Central United Methodist Church, the Lifehouse was glad to host its Inaugural Road to Recovery 5k. With over 230 people registering a finishing time, and many... many more participating and helping both in the run/walk and on the "sidelines," we brought hope to Huntington. This was an event exemplifying a concrete solution in helping to restore and redeem this community... one that we all love so much. If you'd like to see the registrants' placement and rankings, please click the link below. We unify as one body, all churches, all programs, all people to seek God for addiction freedom in our great city and surrounding region. 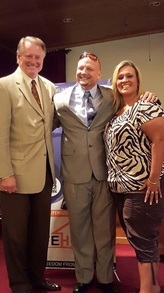 All area recovery resources were there to help any and all addicted to get help.. The Lifehouse, Inc. Grand Opening!!! We recently celebrated the opening of our second residential location. It was a big day for The Lifehouse...the community saw what a big impact our program makes for the fight against substance abuse and the participants were able to see that the community supports them and are proud of their recovery efforts. Check out the Herald Dispatch's coverage of our ceremony! 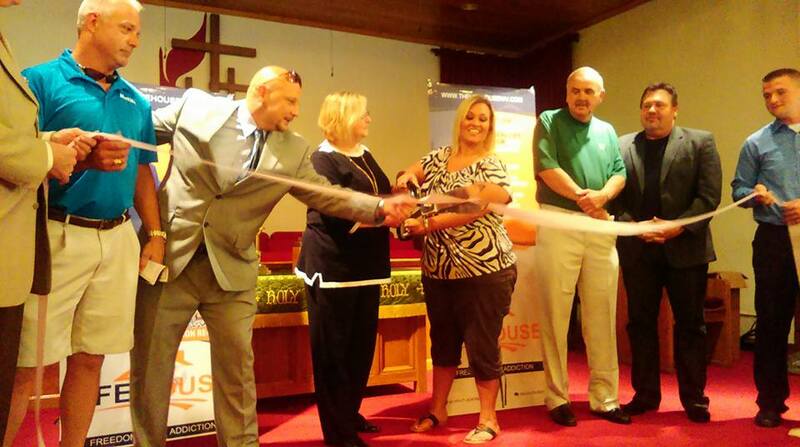 Director Rocky Meadows, the Honorable Mayor Kim Wolfe, and members of The Lifehouse cut the ribbon during the ceremony. 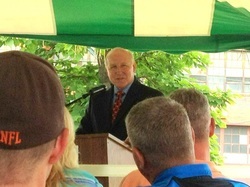 The Honorable Mayor Kim Wolfe (City of Huntington, WV) shared his thoughts and support during the ceremony. Friends and family of The Lifehouse enjoy delicious cookout food and conversation at the ceremony. Friends, family, and supporters of The Lifehouse gathered to celebrate the program's success. Director Rocky Meadows and Jim Johnston, Board of Director's Vice-Chair/Ceremony Host bow their heads in prayer during the ceremony.